How are you doing today? Today, I am sharing one of my favorite color from the Luscious collection. 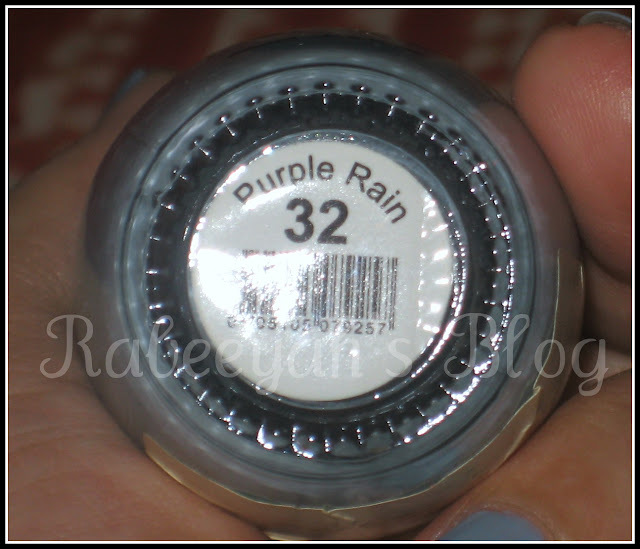 It is PURPLE RAIN from Luscious Cosmetics. It is a very pretty Lilac color, as you can see. When I first bought this color, it had pink sheen in it. I used this after long time. May be 2 months. This time when I used, the pink sheen almost disappeared and it looked more like greyish lilac. That pink shade gave this color a little bit purple effect. But now it doesn't. Still it looks pretty and the best part, the applicator is good. It doesn't crease while applying the color. I hope you liked the post. LOVE you all! wow it v nice whould you like to shear price of it rabeeyah..? ?